Xiamoi Redmi is launched to give a healthy competition to Moto G Smartphone. Xiamoi Redmi 1S Smartphone is launched with qualcomm snapdragon Quad core processor on Android 4.3 version with 1 GB RAM, 8GB storage capacity in which it has 6.14 GB for internal storage, with 64 GB micro SD card capacity at the price of Rs. 5,999/- only. Xiaomi Redmi 1S Smartphone phone is launched with 1.6 GHz qualcomm snapdragon 400 MSM8228 quad core processor with Adreno 305 GPU, 1GB Ram. The Redmi 1S runs on MiUi version 5 which is based on the Android 4.3 available in Dual SIM with 3G facility. It has 8 MP (Megapixel) rear AF camera with LED flash facility and 1.6 MP (Megapixel) front facing camera, clear and loud sound quality and also has full HD video recording facility. This phone has qualcomm snapdragon 400 MSM8228 quad core processor with Adreno 305 GPU which is very powerful and will give high speed performance. It has 1GB RAM with 8GB phone internal storage capacity in which it has 6.14 GB for phone internal storage, user can expand Memory up to 64 GB via 64 GB micro SD card. Xiaomi Redmi 1S is a good looking, stylish Smartphone which has anti scratch IPS 4.7 inche touch screen. This is supporting resolution 1280 x 720 pixels. It has curved shape design, which has power and volume button on the right side, micro USB port at the bottom side and also has 3.5 mm audio jack on the top part of this Smartphone. The dimension of this phone has 69.43mm x 137.43 x 9.49 and weight is 164 gm. This phone also has LED notification which is placed at the bottom of home button. You can change the color of LED notification also. It has 8 MP (Megapixel) rear AF camera with LED flash facility and 1.6 MP (Megapixel) front facing camera, clear and loud sound quality and also has full HD video recording facility. Xiaomi Redmi 1S runs on Miui version 5 which is based on Android OS, v4.3. The Smartphone has a compass, Accelerometer, proximity and Maps, Calendar, Google Search, Gmail, YouTube, Google Talk, Alarm, Calculator, Clock, and other Google sync apps. Xiaomi Redmi 1s has a dual SIM handset with 3G support. It has 2050 mAh removable battery, data cable, and warranty card, charger and user guideline in the box. Its battery backup is very good you can continuously run your phone during running any app or Wi-Fi up to 3-5 hours. 1. This Phone has Good processor, with good battery backup. 2. It has 8MP rear and 1.6 MP Front cameras with LED flash. 3. 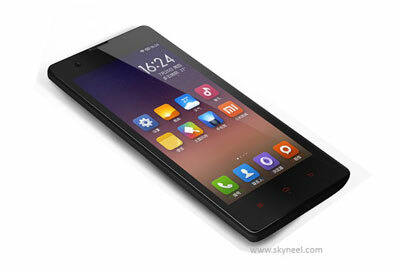 This Smartphone has Miui version 5 which is based on Android OS, v4.3. 4. Easily install MC4 (Modern Combat 4) and Real Racing 3 games in internal storage. 1. Earphone is not provided. 2. 1 GB RAM is insufficient during running multiple apps. 3. Apps are not moved from internal to external storage. 4. Handset is heated up over 40 degree temperature. As I fell all features of this phone it is better to buy because it is low budget Smartphone which provide lot of facilities, but before buying this phone watch carefully all features of this phone and take your final decision.